Ugh you guys I am so ashamed that this book took me so long to read. 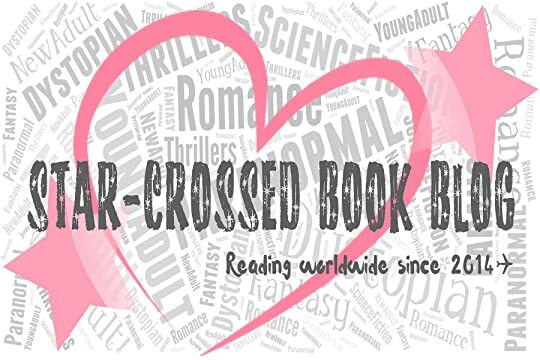 Tamora Pierce has been my favorite author ever since I picked up Trickster’s Choice many years ago. Of course I was pissed to find out that I had basically ruined a lot of things for myself for picking up that duology first but I had no idea at the time! I spend the next few years DEVOURING every other book written by this gem of a lady. Alanna, Kel, Daine, Aly….all of these women have come to mean so much to me. I still to this day think about them when I’m going through something hard or scary and need a bit of bravery. I honestly think I took my sweet time because this book has been A LONG TIME COMING. Seriously. Her last actual novel set in Tortall came out in 2011. SEVEN YEARS AGO. And I mean she’s been planning a Numair series since then so it’s been a pretty excruciating wait if you ask me. The most important thing to know about this book is that you will appreciate it 100x more if you’ve read her other series set in Tortall first. There are little teasers for what is to come in the Immortals series and you get to see characters that pop up again later as well which is one of my favorite parts of her books. I think that it would be a little slow if this was the first book of her that you were picking up and I also think that even with my love for her and Numair, that the title really didn’t fit with the more..it more or less seems to be setting up for what is to come on the horizon (which is totally fine but I think some people might be misled). Arram Draper a.k.a. Numair for those of you who have read Pierce’s other series, was a damn treat in this book. He starts out the book as an eleven-year-old who has just started at the Imperial University of Carthak and by the end of the book grows into a young man of 14. I LOVED HIM SO MUCHHHHHHHHHHH. Just by reading this first book I have come to realize that we barely get to know him at all in the Immortals series. He is kind, he is thoughtful, he is fiercely loyal, and powerful. Like really, really powerful. I enjoyed watching him come into this gift and loved every single one of his Masters that helped him explore different aspects of his power. They all cared so deeply for him that even if you didn’t know he was going to become one of the most powerful mages in the world, you’d know there was *something* special about him. It was also so very interesting to see a young and not-yet-so-complicated Ozorne and Varice. It kills me just wondering what that breaking point will be to send Numair over to Tortall and completely sever ties with this two young people that came to be his best friends in this book. Quite heartbreaking if I’m being honest. Reading this makes me want to go read the other books ASAP to see what kinds of things I pick up from this book. The part where Ozorne gave him a book on shape shifters had me dying. I just whispered to the book *yes, that is a book about your future wife----pay attention* bahaha. And someone talked about teaching him wild magic too. TOO GOOD. Sigh. If you’re a Tamora Pierce fan I HIGHLY RECOMMEND and if you haven’t been introduced, I say start at the very beginning with the Song of the Lioness series. You will not regret it. 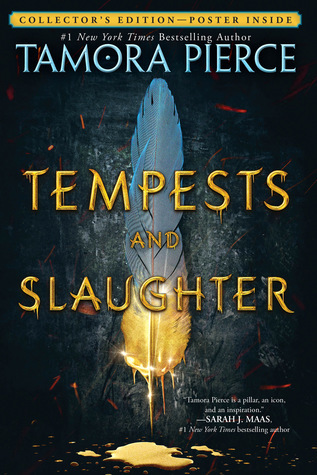 Sign into Goodreads to see if any of your friends have read Tempests and Slaughter. Seven years is a LONG time to wait, so I'm beyond ecstatic to hear that it was definitely worth that wait! Fabulous review, Arielle! I reckon the tipping point for Numair will be that Ozorne asks him to be a battle mage or kill/hurt someone. It's a bone of contention between them.